daily cleaning service in private and dorms rooms and 24 hours hot water. All rooms have a balcony, private bathroom,TV, fridge and air-conditioning. Reception is open for information 9:00 am to 12:00 am, but check in can be 24 hours. for be someone at our reception to make you check in. honestly one of the best stays we’ve had on our trip so far! george and maria were some of the sweetest staff we’ve ever had. we actually came to the hostel to find out we had the room all to ourselves which was a luxury for two friends travelling on a budget and staying in dorms! the atmosphere of the place was amazing, their small kitchen area was a great place to meet people. long story short, I wouldn’t want to stay anywhere else if I go to Paros again!! Had a fantastic stay here. Came in here my first night very late and George was here kindly staying up waiting for me. The next night I went to stay at an airbnb in Naousa x4 more expensive and it honestly wasn't the same level of quality I found here at Paros Backpackers. Came right back for my last two nights. The rooms are super clean and beautiful and I found a travel partner here in the off season when there are few opportunities to meet other young travelers. Will for sure come back again. Ask for a second blanket when rating there because I was FREEZING. The heater didn’t seem to do much. But super cute place. Right on the beach. Staff were so sweet. I had a great stay! George and Maria were so welcoming and helped me decide what to do with my stay on the island. The hostel is really well located next to the ocean, and there’s a small but very functional kitchen. Would absolutely stay again. Perfect location, 5 minutes away from the port and the bus station. The staff was nice, the kitchen/common room was small but cozy. The bed was comfortable but it was a bit dirty, the HVAC system was dirty and blowing dust everywhere. The toilet wasn't working properly and the shower was so small I could barely turn in it and I'm 1,75m. 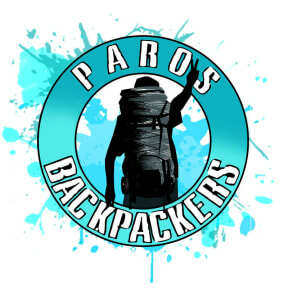 Overall it was a nice stay, a bit of work is needed in the bathrooms but I would recommend it to fellow backpackers. Pretty sure my friend had her laptop stolen while here, but there are lockers available in every room & locking doors on each room so we're not exactly sure how it happened. They don't lock the front door. Otherwise a basic place but for the price you can't beat it. Nice staff, friendly people, pool available next door to use, everything was spartan but clean. Tiny kitchen space but people were cooking a lot & made it work! Roofdeck could use a little more atmosphere. Very nice and helpful staff, in a great location. There was good common space but not a lot of socializing while we were there. The rooms felt a bit dirty although there was a maid service daily.